Kids these days are pretty much spoiled for choice when it comes to the kind of hobbies, pastimes and activities they have to choose from on a daily basis. Unsurprisingly, with so much technology around there are certain examples of activities that have taken something of a backseat over recent years – arts and crafts being a prime example. Sure, they might have been introduced to a paintbrush in nursery school, but in terms of the kinds of stuff they want to get up to at home, chances are they’ll have more high-tech things on their minds. This can be quite the shame however as while arts and crafts may seem old-fashioned to some, they can in fact be uniquely beneficial for kids. According to the experts at handyhippo.co.uk, kids are never too young to be encouraged to explore their creativity and really get stuck into the arts and crafts of their choosing, which have the potential to be incredibly beneficial both short and long-term. First of all, while most arts and crafts may require very little physical exertion, they are still uniquely brilliant for a child’s development. Along with motivating kids to use their imagination and really think about what they’re doing, arts and crafts also allow for the development and strengthening of motor skills and hand-eye coordination. They’re safe, they’re simple and they add up to a huge difference – exactly why there’s no such thing as being too young to be introduced to a wonderful world of creativity. Next up comes what some might call the most obvious benefit of all – any time spent with arts and crafts is time not spent starting at a screen. From TVs to computers to smartphones and so on, the average family home is filled with more than enough screens and devices to occupy kids 24/7. And while a little exposure to such gadgets can be highly beneficial, too much TV/screen-time can be disastrous. From posture problems to vision issues to weight gain and right through to anti-social behaviour, too much TV-time has been linked with a variety of wholly regrettable effects on kids. There’s really nothing better than getting well and truly stuck into an activity that both you and the kids get just as much enjoyment from. Arts and crafts represent a fantastically unique activity in the way that it is one of the only things on the cards that’s genuinely timeless and has an undeniable appeal regardless of age. From the youngest kids to the oldest seniors, anyone can have a great time with arts and crafts and thus when it comes to family bonding activities, there’s really nothing better. There’s no better time than childhood to find yourself being drawn toward a certain activity to such an extent that it becomes a passion for life. Of course there’s no such thing as being too old to discover a new passion, but when you really get into something as a child, it has the potential to change your life in a big way. Who knows – those finger paints could be their first step toward becoming a world-famous artist! 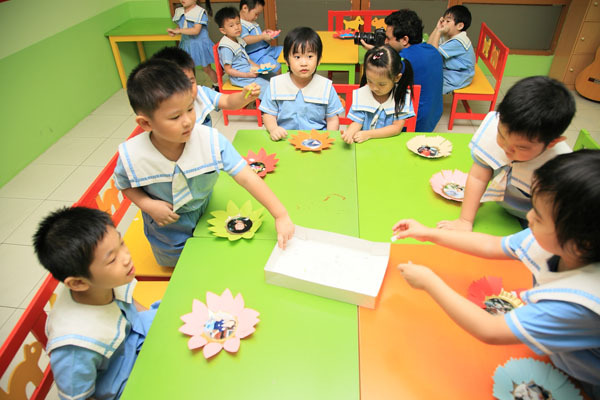 Aside from the actual crafts themselves, getting the kids involved in these kinds of activities from a young age helps teach them important skills that will help them throughout their lives. For example, you’ll be able to get across to them the importance of working in a way that’s safe and healthy, you’ll show them the importance of keeping things tidy and when it comes to teamwork, they’ll revel in the opportunity to work with others to achieve outstanding results. There are so many important life skills that are demonstrated and instilled naturally through arts and crafts that it can really make a lasting difference. Last but not least, when you think about all the amazing benefits and rewards that come with arts and crafts for kids, there’s really no denying how universally affordable such activities can be. There will of course be at least some expenses involved when it comes to investing in all the gear you’ll need in the first place, but you’ll get so much out of the stuff you buy that there’s really no knocking the value for money on offer. And if you buy reusable craft supplies like modelling clay, it’s an investment that keeps on delivering time after time!